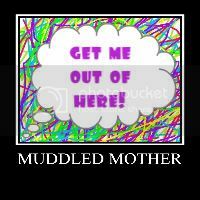 A Muddled Mother: Who's in Charge of Making Me Happy? Who's in Charge of Making Me Happy? I am selfish. I wanted your life to stay the same so that you could go on filling that empty cavern in my soul. As long as you were lonely and I was lonely, as long as THAT remained a constant, then "we" would continue down the path of mutuality. However, I've grown to love parts of you; your creativity, your wit, your ability to cry and feel deeply, your amazing intellect. And if that is true, if my heart and soul have developed an adoration for who you are, then wanting you to stay stagnant, needing you to remain a lonely soul so that my soul remain full is a loveless act. It is egotistical of this friend, this mother, this woman to have such treasonous thoughts. I am certain that I don't want to be that person. And so dear friend, sweet city-street-soulmate, I would love to have the chance to be gracious when the last time we spoke I may not have been. If I had another chance I'd tell you that I am truly happy for you and your prospective future whether it includes me or not. Look how far you have come in such a short time! Your life is full of passion. Work is thriving. Lessons have been learned, and now it seems you are moving towards a life less lonely. Instead of wallowing in my perceived loss, my love and respect for you demands that I rejoice in your good fortune, in your happiness, in the wings that you are unfurling. You have given me much during our time. Your encouragement and validations, your swift kicks when needed, your willingness to listen and really "hear" what I was saying somehow made me feel special, understood and yes...less lonely, much less lonely. But most importantly your absence for whatever reason has taught me perhaps the most valuable lesson that one could ever learn; the pain of missing you, the agony of waiting for that approval, acknowledgement, for the ping of a text or a buzz of a message forced my hand, forced my heart. The waiting....waiting for someone to fill my own soul was ludicrous. The only person responsible for my happiness for my fulfillment is me. I could spend my life pining away for a time when your company was completely mine in some perfect manner that somehow would hopefully deliver me to the land of happiness, or I could unfurl my own figurative wings and fly towards a horizon that holds an overflowing abundance of self-love, personal fulfillment, and good old fashioned contentment. If I was being honest, I'd have to tell you that I haven't a clue how to even take off with my fledgling wings, let alone soar over rainbows. But I am going to try and spend my time not waiting for happiness to come to me, but instead to start my quest to seek it out with the winds of change at my back. But some things will never change. I will always root for you. I will forever believe in your endless talent. I will continue to hope that your definition of family will evolve and grow. I will want only the best for you and of course, as I have said numerous times, I will be here whenever, if ever you need me. Just text me. I'll listen for the ping. Just message me. I'll hear the buzz. And if that time never comes, just know that I am forever grateful that you were part of my life. without you--I would never have known that happiness, contentment, pure satisfaction starts within me. I have a quote by my desk at work that I look upon occasionally and wish I abide by more: Life is 10% what happened and 90% how I reacted to it. I wish it was easier for me to rely upon myself and not others!